Do We Need Our Crumbling Churches? A crumbling relic – should we let this continue? 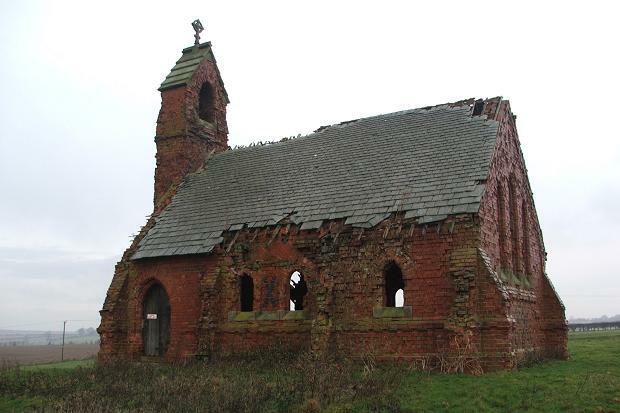 According to a report I read in the Times a while back, nearly 4,000 churches out of the 47,000 in the UK are slowly falling to bits and need attention. And when you average out the congregation per church the number is a mere 33 people attending. Take into account that each of these churches, again on average, require around £80,000 for repair and restoration work, a very big question is clearing being raised. Do we need these crumbling churches? The Bald Explorer is off on another quest to find out if our ancient churches should be left to fall apart gracefully or whether they ought to be fought for. We lost most of our abbeys, monasteries and nunneries in the mid 16th Century as a result of the Dissolution and the country is scarred with their sad remains. Would we wish to allow that to happen again? Many of the smaller rural religious houses have stood for hundreds of years, with a great many dating back to the Norman period. These Norman churches would have been the most significant building in the villages and towns and having been built-in stone have out-lasted almost all the timber-framed structures surrounding them. In some cases, a church stands alone, marking the spot where a village once stood. The church was, and in many cases, still is the centre of the community. Not only was it a place of worship, but in the days before the benches and pews were erected and the building was more open plan, the church was effectively the village hall. Markets were held there. Pigs and sheep would be bought and sold from the nave and many feasts took place within those ancient walls. It would have been a loud, gay, busy building, white washed and painted with colourful murals, quite the reverse of the sombre, hushed place we see today. As monuments they encapsulate the village’s or town’s history. The walls, may seem bare, scraped and devoid of life, but they full of the vibrations of all that has gone on before, from birth, to marriage and finally death. You do not need to be religious or a believer in Gods to appreciate the significance such a building has played in the history of man. The story is played out in village after village, town after town across the land. And as each town grew and spewed further and further out into the green belt, gobbling up the countryside with the construction of modern, yet distinctly plain, utilitarian houses, often like a plan from prisoner of war camp, it is still possible to discover at its centre, the throbbing heart, the parish church. Work is under way on another Bald Explorer episode, which hopefully will be shown on the Community Channel later in the year to find out if saving our crumbling churches is possible and what needs to be done to bring this about.